Outstanding Achievement Awards has replaced the Person of the Month Awards scheme. Please see the Outstanding Awards Achievement page for more details. 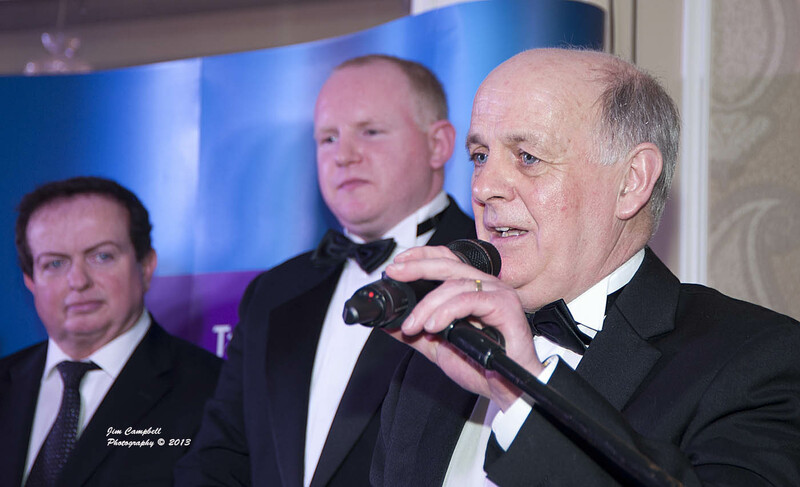 It was the night of nights at the Talbot Hotel on Saturday 20th April where everything sparkled to honour the 12 monthly recipients of the Southeast Radio Talbot Hotel Person of the Month Award. Starting with a champagne reception and canapes the evening was a glamourous affair followed by a spectacular Gala dinner in the Slaney Ballroom. Certificates were present to each of the deserving winners in a fabulous awards ceremony presented by our very own Alan Corcoran. 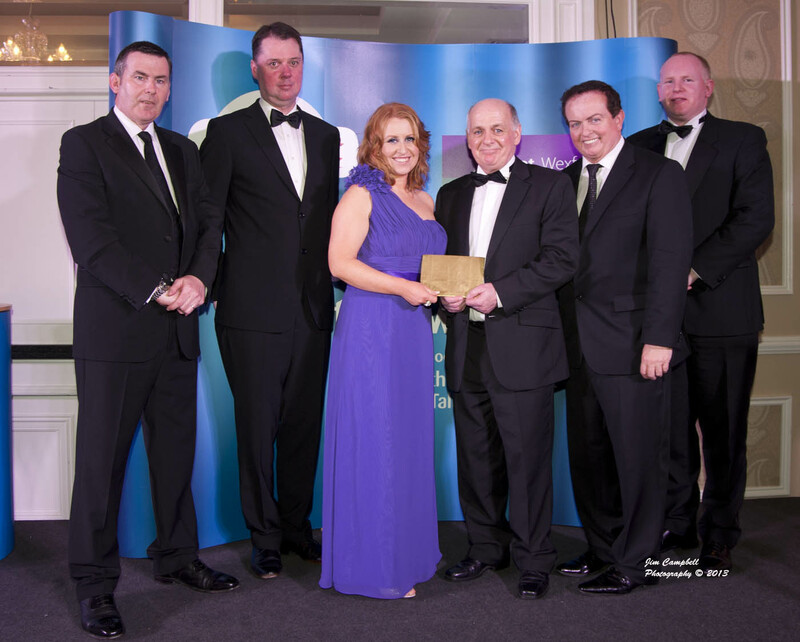 The overall winner, chosen by a panel of judges, was announced by Marty Morrissey. The tension was palpable in the room waiting on the announcement of Denis O Connor Console as the Overall Winner. A hugely popular and deserving winner, Denis received a standing ovation for his work in founding Console House in Wexford and the tremendous work done by him and his team in supporting those bereaved by suicide. compassion. A 24 hour suicide prevention helpline is now also in place for those in distress. Speaking on the night, Denis in his normal fashion, thanked the wider team that makes this all happen everyday. He was quick also to thank the people of County Wexford who make all of it possible as 70% of Console’s funding is raised through public donations. 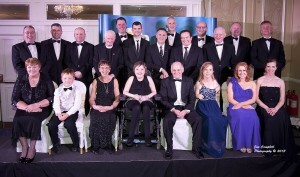 The awards were set up some years ago to reward local people in the voluntary, charity, sporting and business sectors of our community and to acknowledge their giving of their time or their exceptional achievements. 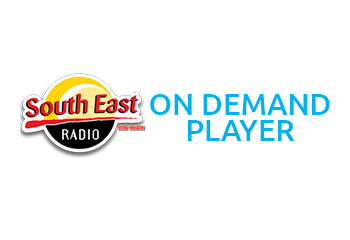 Each month, nominations are invited from listeners of Southeast Radio. The winner is then surprised live on air. They then go forward to the Gala Ball at the end of the year and an overall winner is selected by the judging panel. Our heartiest congratulations to Denis O Connor this years very worthy overall winner. The South East Radio / Talbot Hotel “Person of the Month Awards” are designed to reward local people in the voluntary, charity, sporting and business sectors. 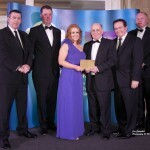 The awards are presented in association with the Talbot Hotel. The awards scheme was developed to recognise and reward local people of all ages who have gone above and beyond to give of themselves or their time for others. Each month nominations are invited from listeners via nomination forms available throughout the region. You can pick up a form from the Talbot Hotel in Wexford, South East Radio’s offices in Wexford or various businesses throughout County Wexford (see above). You can also phone +353 53 9145200 (office hours) or click on the Person of the Month form to fill in details and e-mail your submission on-line. Each month the “Person of the Month” is presented with a special trophy and a weekend break for 2 in an Irish Hotel One lucky nominator each month will also be invited to a meal for two at the Talbot Hotel. 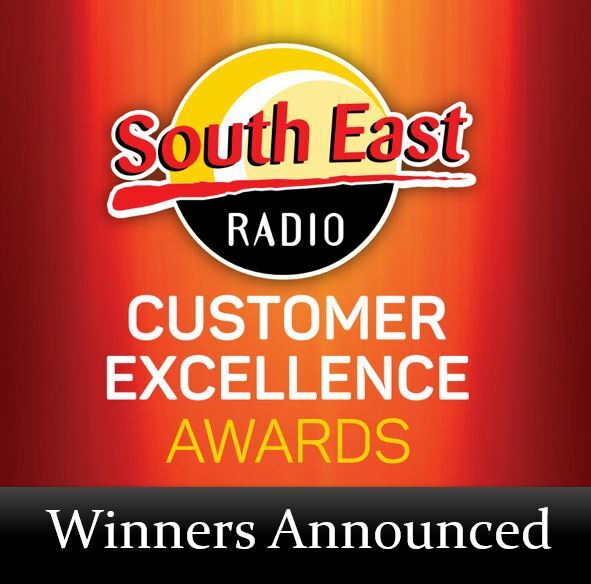 During the year the South East Radio / Talbot Hotel “Person of the Month Awards” will recognise 12 highly deserving winners in our community, nominated by you. The judges will then select an overall “Person of the Year” – and the prize of a continental holiday. The winner will be announced at a special Gala Ball in 2014 at the Talbot Hotel, Wexford. It is as always Wexford’s “night of nights”. 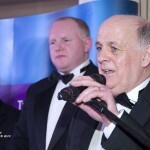 A glittering occasion with a live broadcast on South East Radio, champagne reception, superb dinner, live music. 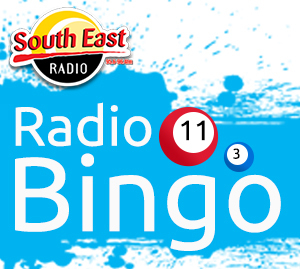 For more details of how you can get involved, listen to South East Radio and don’t miss “South East Radio’s Morning Mix” (10-12 Mon – Fri) as the winners are announced each month. Please click on the required year to see the list of winners.